NEW YORK – Kristaps Porzingis cuts into his first filet mignon at a Manhattan steakhouse, a teenager hours after his arrival to the United States. He is 7-foot-1 with Dirk’s shooting touch and Pau’s athleticism, a European prodigy blessed with fluent English and the threat of transcendent talent. Every day, front-office fascinations rise with Porzingis. Every day, he’s moving himself closer into contention to become one of the top three picks in the NBA draft on June 25. Los Angeles Lakers officials conducted a workout of Porzingis on Monday night at the franchise’s El Segundo, Calif., practice facility, league sources told Yahoo Sports. Suddenly, Porzingis is pursuing the Lakers’ pick at No. 2, along with spectacular Ohio State guard D’Angelo Russell and Duke’s Jahlil Okafor. Suddenly, Porzingis is changing this NBA draft. Out of Latvia and the Spanish ACB League, Porzingis peels away the mystery with a determined disposition and an earnest, natural curiosity. Ask him about the most appealing part of what awaits him in the NBA – the luxuries of a lifestyle that come with the stature of a lofty lottery pick – and you’ll get the longings of a 19-year-old European gym rat. “The biggest thing for me – the thing that I think most about – is that you can get into the gym whenever you want here,” Porzingis told Yahoo Sports over dinner recently. “They give you a card, or a key, and in the middle of the night, if you want to work out, you just go to the gym and get your work in – and I think that’s amazing. Among the NBA executives who’ve spent the time to research Porzingis – some made five trips to scout him this season and made trips a year ago too – they’ve come to understand how deeply he cares about growing his game, his talents. 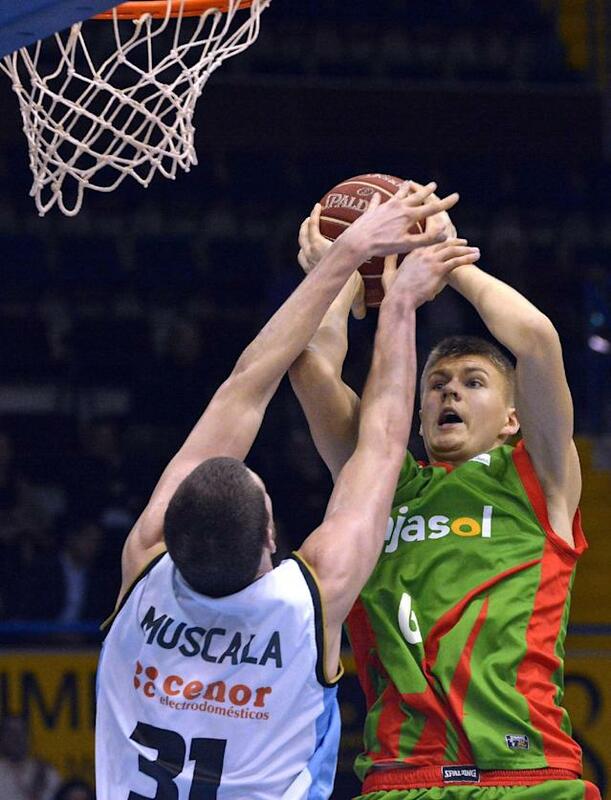 Porzingis has an innate awareness about the way the American public sees a young, long European teenager. He comes to the NBA with the full understanding that popular basketball culture declares him guilty until proven innocent of the basketball crimes of Darko Milicic and Nikoloz Tskitishvili and Andrea Bargnani. He’s considered a stiff, a bust, a blown lottery pick until he doesn't become one. “There are guys who have had incredible NBA careers – like Dirk [Nowitzki] and the Gasols [Pau and Marc] – and there are guys who haven’t. They’ll say, this guy is a bust. He’ll be Tskitishvili, this Georgian guy. Bargnani, Darko … That’s why I am talking, because I want the fear to go away with me. I want people to get to know me. I don’t want to be the mystery man from Europe. Around the NBA, they see him differently. He’s been drilled in the fundamentals; those endless arms end with flicks of the wrists that deliver made shot after made shot. In his house, the son of a mother and father with playing backgrounds – and the younger brother of a 10-year Euro pro – Kristaps nourished himself on hours and hours of 7-footer video. For now, Porzingis trusts this indisputable truth: This matters to him. The work, the craft, he’s chasing everything here. One of these nights, they’re going to see the light on, hear the bounce of the ball, and they’ll come to understand that he’s different, that he’s his own basketball story.